The Rochester Red Wings will have a special day to honor ASL. The minor league team and Triple-A affiliate of the Minnesota Twins, will wear special ASL jerseys on April 28 when the team plays the Pawtucket Red Sox. 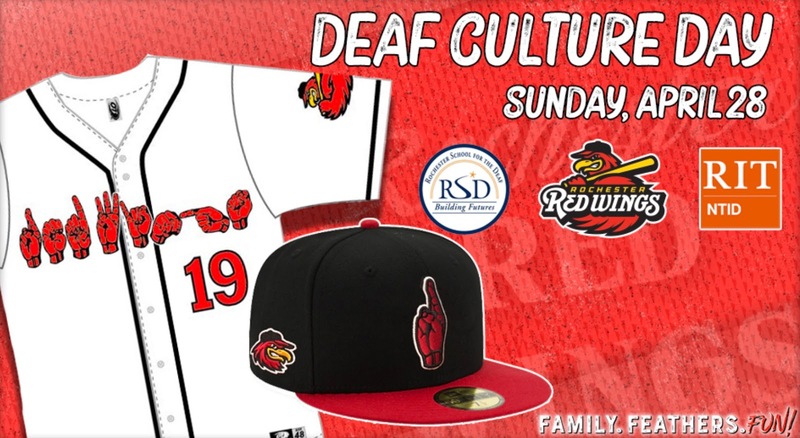 The Rochester jerseys will have "Red Wings" spelled out in ASL and the players will wear hats with the capital “R” in ASL. The game will also feature a "silent inning" with no announcements or music. Instead, sign language interpreters will be stationed throughout the park. Read more about it on the Red Wings website here.